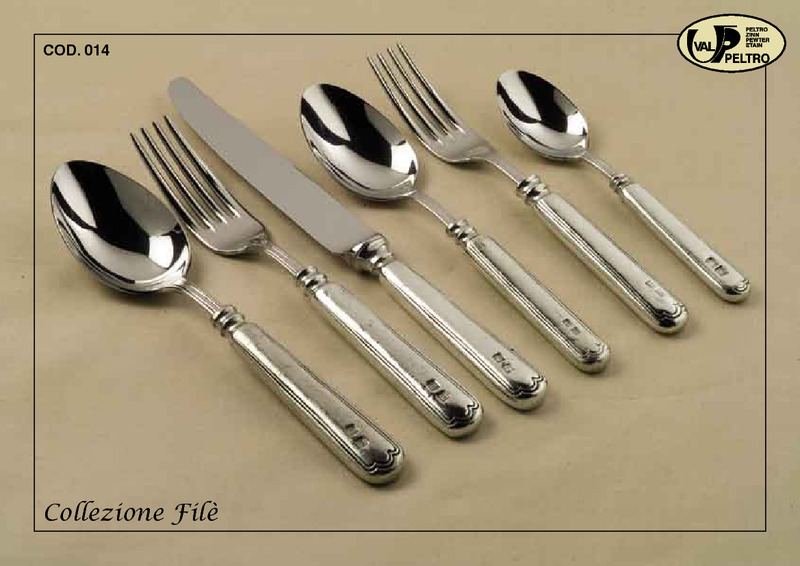 Classic Filêt design but with the additional twist of being in Italian pewter. Full collection of pewter serving pieces. Complete your File set with steak knives and table spoons.